First published on QS TopMBA, June 2017: The MBA admissions process at elite schools is competitive. Invariably, successful applicants beat out other hopefuls who almost always have the goods to succeed as well, but don’t demonstrate value in MBA admissions, or are unable to stand out from the crowd. This means a candidate who looks, talks, and acts ‘like a grown-up’. Through your essays and interview, the MBA admissions committee will get a sense of whether you have the personal maturity, diplomacy, and professional polish necessary to succeed at school, in job recruiting, and in life. Are you poised under pressure? Are you diplomatic under fire? Can you handle responsibility? Do you have ‘senior presence’, or do you come across as a brash kid? Immaturity will be signaled by giveaways such as poor self-restraint, blaming others for your bad calls, showing an inability to see your own weaknesses, or in choosing inappropriate material for your essays. In the era of social media transparency, your claim to maturity could also be undermined by a junior social media presence. Beyond ambition and the desire to succeed, an MBA admissions committee will be asking, “what do you want to succeed AT?” There is no right or wrong answer. A wide range of career goals are acceptable. But, they will want to understand why you want to do what you want to do. What meaning does it have for you? Just wanting to ‘succeed’ or ‘make money’ is not enough. That’s assumed. The question is, beyond success, why this path over another one? Also, how might what you do professionally be meaningful for other people, for communities, or for the school itself? Harvard Business School (HBS) has asked matriculating students the following question [taken from the last lines of a poem by Pulitzer Prize-winning author, Mary Oliver]: “What is it you plan to do with your one wild and precious life?” You could say you planned to be a hospitality manager or an aviation entrepreneur, or anything. The point is why is this worth spending your one precious life on? Why for you? Better still, why for those around you. Leaders and successful people almost all have good awareness of self and other, meaning they understand themselves well and they are aware of how they come across to others. Sometimes this is called ‘emotional intelligence’ or ‘EQ’. However you frame it, it belongs to those who understand their own personality attributes and weaknesses and are aware of how this plays out in interactions with others. Put another way, the skill is to be able to ‘read the room’ and understand the people and power dynamics in it, and to be able to influence these dynamics not least by first being aware of how one comes across. Business schools exist to teach, train and prepare professionals for senior management careers. There’s nothing quite as much of a turnoff as an applicant who appears unreceptive to the idea of learning and improving at the hands of faculty, coaches, and peers – which, incidentally, is a lifelong requirement in the modern knowledge economy. If you appear to know it all already, the business school won’t see room for themselves, and they may see incipient trouble in the classroom and in groupwork as a result of a non-participating mentality. A candidate who can write, speak, and organize ideas well. Financial and technical skills are important, but the most important skill in senior management is communication: The ability to frame, transmit, and negotiate ideas in meetings with clients, staff, investors, regulators, lawyers, industry partners, and other stakeholders. As a general rule, quantitative skills are the tasks of lower jobs in a business organization. People in the c-suite and on boards spend almost all of their time talking. So, an MBA admissions committee will be looking hard at how well you organize and communicate concepts and ideas, thinking down the line to when you are going to be interviewing in front of an employer, and on and on throughout your career after business school. 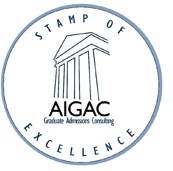 You can demonstrate value, in terms of your communication abilities, through your verbal GMAT or GRE score as well as in your MBA admissions essays and interview. Nobel Laureate Daniel Kahneman’s best-seller Thinking Fast and Slow (Farrar, 2011) documents how decision-makers arrive at decisions, either instantly without a lot of mental hard work — “fast thinking” or by “slow thinking” which means full analytical process. Fast thinking is going on when you have a “first impression” of someone, and of course when an MBA Adcom member forms a first impression of you. On a similar theme, Blink (Little, Brown & Co, 2005) by Malcolm Gladwell, makes a further claim — that instant judgments oftentimes produce better, more accurate, conclusions than those made by way of exhaustive analysis. Whether “blinking” provides a better basis for decision-making than formal analysis or not, the point is fast thinking and slow thinking are both at play decision-making, whether the decision-maker is aware of it or not. 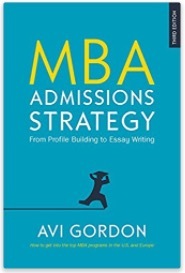 The implication for MBA admissions is that, while b-school Adcoms everywhere would assert that they rigorously analyze the strengths and weaknesses of each applicant, there is also considerable “fast thinking” involved in how they choose. Note that Adcom essay readers and committee members are not seeking to make an “impressionistic” judgment. In fact the opposite is true. But they will be picking up impressions at every turn. After all, they have to make a big call, fairly quickly, about a complex situation (you and your future prospects) and they don’t actually have that much analytical material to go on. Fast thinking is the way the MBA admissions committee will get its working impression of your personality, motivation, determination, charisma, team orientation, and overall prospects, all of which will precede and then run in parallel with their more formal analysis. Before Adcom even gets to fully considering your grades and scores, performance metrics, and work history, they will have formed an impression from the first things they see. It’s hard to know what they will see first of course, but very often it will be the file data and/or resume. The best way to deal with fast thinking is to realize it is there, and always will be, and provide ways for admissions officers to use this mode in judging you. • Expecting snap judgments about your motivation, take care that everything you submit is carefully checked and complete. • Expecting snap judgments about your pre-MBA work experience, take care to get the highlights high up in the essay. • Expecting snap judgments about your professionalism, take care that any correspondence you enter into (by phone or email) is scrupulously professional, and so on. Play to the first-impression mode first, and follow this with data and detail that corroborates the impression. What’s Your USP for MBA Admission? On the one hand, some say the applicant is as one among dozens of cereals in the supermarket aisle, and so has to work to actively pitch herself to the Admissions Committee to stand out as a valuable admissions “package” and thus be selected. Others say the applicant should not do a sales job. Any form of selling takes away from the authenticity of his voice, which is what Adcom really wants to hear. As in many things, the truth is somewhere in-between. You can’t afford to be naive. Companies spend millions on marketing and sales because it works. Admissions to elite schools is very competitive, and if you pitch an admissions message that is tightly designed and produced to meet and beat Committee expectations, that will advance your admission chances. On the other hand, if you come across like a used-car salesman with a greasy handshake and a cheesy grin, that’s obviously not going to help you at all. If you’re going to sell yourself in any way, you must sell yourself as an authentic, reflective voice imbued with “humble confidence” in your leadership skills; as a manifestation of ambition-with-integrity; as a persistent force for innovation; and so on. If you can package yourself this way, then selling yourself will work for you. In other words, just as a venture capitalist will ask the entrepreneur of a new product: “what’s its unique selling point?” which is to say, what’s so different about this vs. all the other competing offerings in the market, such that the consumer is going to buy one? So you should ask yourself: “what’s my unique selling point for elite MBA admissions?” What is going to make Adcom pick me? Two things come together in a USP: uniqueness and value. Uniqueness is what’s different about you compared with the general applicant: the things in your personal and professional experience that are uncommon. Value is what the Committee sees as valuable in you: what you will contribute to the program and the b-school, both while at school and in the future. I’ve blogged at length in preceding posts about candidate uniqueness and candidate admissions value, and these topics are also handled in my book. My point here is to say: look for ways to run uniqueness and value together, and if you do, you’ve found your USP.